Hey Folks, for those quick enough to spot my rare blog updates. 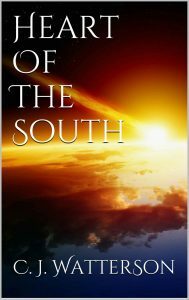 Use the code “NE45P” over at Smashwords to get 100% off Heart Of The South, Book 2. It’s only until April 1st, so if you miss it… well. In other news Terry Pratchett died this week. His writing has really inspired and amused me, it’s sad to know there won’t be another Discworld novel. Maybe there’s one left in the footnotes.